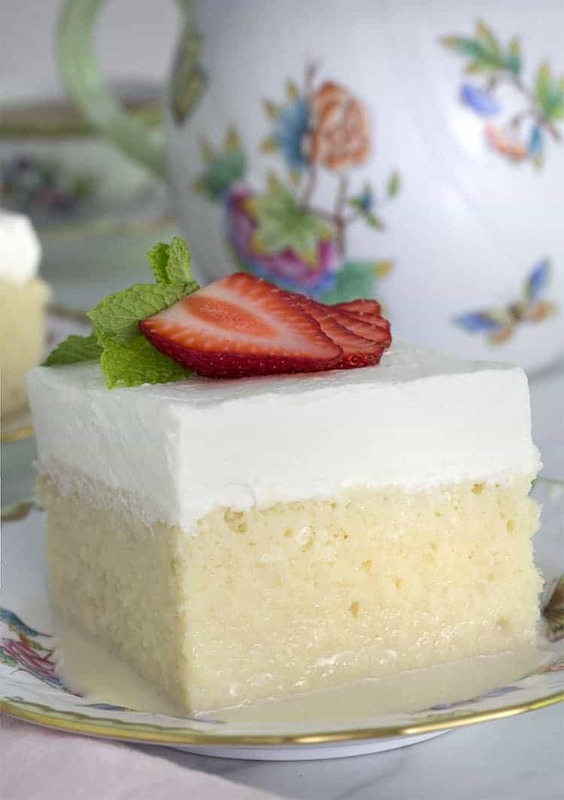 You’ll love this light, fluffy tres leches cake SOAKED with a sweet mixture of three milks and topped with a cloud of whipped cream enriched with mascarpone. It’s a great make ahead cake since it only gets better the next day!! 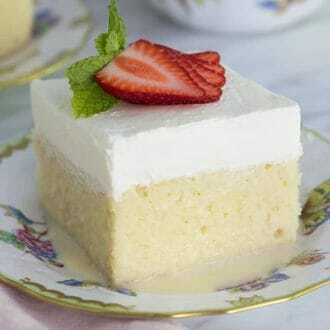 Should tres leches cake be served cold? Yes! 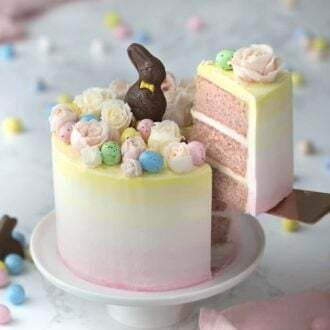 This cake actually gets better after some resting time in the fridge as that delicious milk soaks further into the cake. Can I make tres leches cake in advance? This cake does well in the fridge for a day or two. If you’re planning on making it further in advance then freeze the cake and soak and frost before serving. Can I freeze a tres leches cake? You can make this cake in advance, wrap well and freeze it, but just the cake! When you’re ready to serve add the milk mixture and frosting. Love a nice cake? 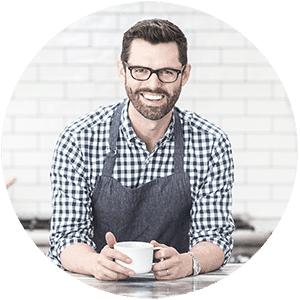 Try some of these recipes out! How do you make a tres leches cake? Sift together all the dry ingredients including sugar into the bowl of your stand mixer. Whisk to combine and set aside. In a large bowl mix the milk, egg whites, vanilla, and sour cream then set aside. Add butter in tablespoon sized pieces to the dry mixture and beat with a paddle attachment until a incorporated with a texture like wet sand. Add half the wet mixture, mix to combine, scrape bowl down and add remaining wet mixture beating until combined. Pour batter into a 9×13 inch tin and bake at 350F for about 50 minutes or until a toothpick comes out clean from the center. After the cake is cooled you can trim the edges. This step is optional but I find it helps the cake absorb more of the tres leches mixture. Whisk together the milk, evaporated milk and sweetened condensed milk in a medium bowl. Transfer your cake to a larger dish and slowly pour the milk mixture over it. You can poke holes in the top to make more room for that delicious liquid if desired. Whip the cream, sugar and vanilla until soft peaks form. Fold in the room temperature mascarpone. Add the frosting to the cake. I like using an ice cream scoop for even coverage. Smooth the top with an offset spatula. Garnish each piece with a fan of strawberry slices and sprig of mint leaves. Add 1/2 cup of rum to the tres leches mixture, soak the cake and enjoy! Doing this brings you closer to the original recipe, which had alcohol! Trimming the cake is TOTALLY optional. I did it because this is a giant sheet cake that has to bake for a long time. Those edges get caramelized and take away from the visual for me but you might enjoy them! For MAXIMUM effect double the tres leches mixture and then pre-cut the sheet cake, transfer pieces to bowls or cups and then soak with the mixture until 1/3 submerged. top with frosting and serve! The mascarpone is optional but If you can’t get a hold of it and still want to have a similar effect try mixing the following room temperature ingredients together for a reasonable facsimile. 8oz cream cheese, 1/4 cup heavy cream, 2tbs unsalted butter. 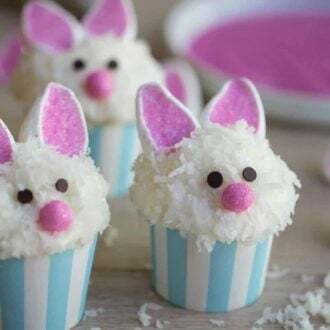 If you’ve tried this tres leches cake recipe then don’t forget to leave a rating and let me know how you got on in the comments below, I love hearing from you! 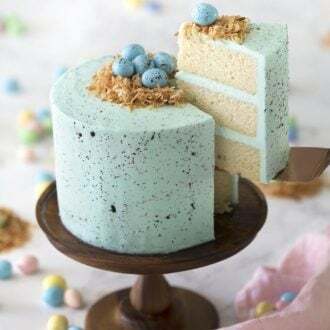 A light and fluffy vanilla cake soaked with a sweet milk mixture topped with dreamy whipped cream mascarpone frosting. Preheat the oven to 350F. Prepare a 13" x 9" sheet cake pan by adding parchment paper. In a standing mixer, sift in the flour, baking powder, salt and sugar. Give it a whisk and set aside. In a large bowl, add egg whites, milk, vanilla, almond extract, and sour cream. Whisk together. Attach a paddle attachment to the stand mixer. Add in room temperature butter in cubes or pieces. On medium speed, beat for ½ of the wet mixture into the crumby dry mixture. Scrape the bowl down and add the remaining wet mixture. Beat until combined. Pour the batter into the prepared sheet cake pan. Bake for 30 - 35 minutes and/or until a toothpick inserted comes out clean. Let the cake cool to room temperature. Add the three milks into a large bowl, whisk together and set aside. You can add more milk to cut the sweetness if desired. In a stand mixer fitted with a whisk attachment, add heavy whipping cream, confectioners sugar. Beat on high until whipped. Add vanilla extract. Give it another whip on high. 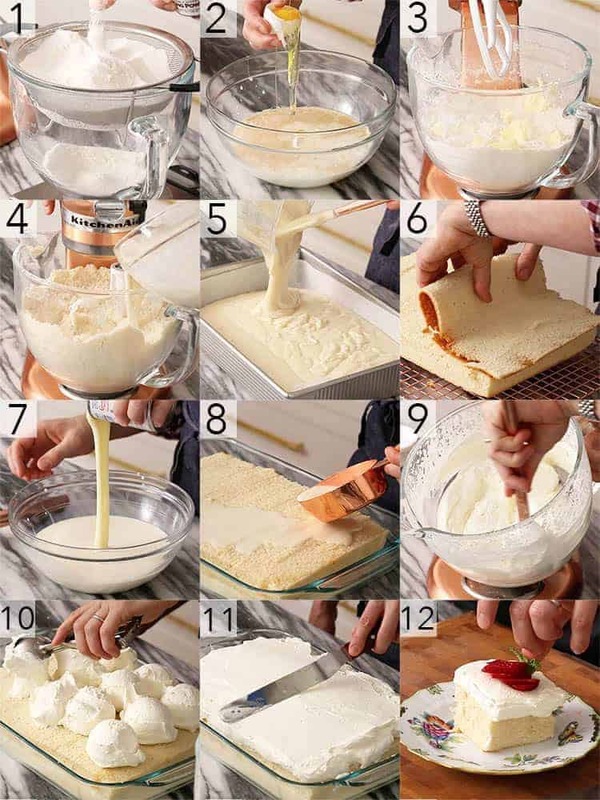 Fold in mascarpone by hand using a spatula. Switch to a whisk and beat. I trimmed the sides and top of the cake. You don't have to do this, but I wanted a nice fresh edge. Slowly drizzle on the tres leches on the cake. You can polk holed all over the cake to make more room for the sweet milk mixture if desired. 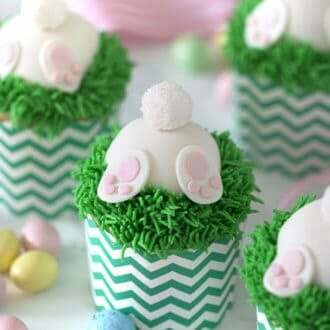 Use an ice cream scooper to add the frosting. Smooth with an offset spatula. Garnish each piece with a fan of strawberry slices and a sprig of mint. Add 1/2 cup of rum to the tres leches mixture, soak the cake and enjoy! Doing this brings you closer to the original recipe, which had alchohol! The mascarpone is optional but If you can't get ahold of it and still want to have a similar effect try mixing the following room temperature ingredients together for a reasonable facsimile. 8oz cream cheese, 1/4 cup heavy cream, 2tbs unsalted butter. 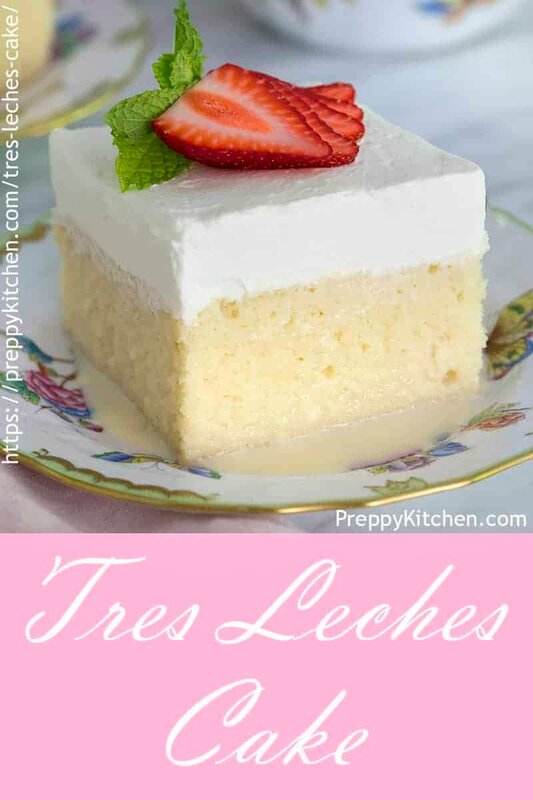 Thank you, Preppy Kitchen for making this delicious tres leches flavored cake so easy to make with your wonderful instructions, tips, and photos…I am ready to make it and enjoy it!